As a Kia approved service centre conveniently located in Eastbourne in East Sussex and Washington in West Sussex, you can trust us to meet your every Kia servicing and parts need with quality and assurance as standard at an affordable rate. Keeping your Kia regularly serviced will maintain its overall performance and optimise fuel efficiency, helping it to run as efficiently as possible throughout its life. Our expertly trained Kia technicians all make use of specialist Kia diagnostic equipment. They are on hand to take complete care of your vehicle and ensure that it's in the safest hands possible the second you hand over the keys. It is really important to make sure your Kia is serviced according to the manufacturers’ service schedule. We built your Kia, so of course we feel we are best placed to keep it running to the highest standard you expect. We strongly recommend using one of our Kia dealers, who will carry out all of the necessary service and maintenance for your Kia with one of our trained technicians. You can be assured that our dealers and technicians will only use Kia Genuine Parts while carrying out any service or maintenance requirements. Servicing at a Kia dealer will not only safeguard your vehicle’s performance, but will also enhance the resale value of your vehicle by having a full Kia service history. You can find your service intervals in your Warranty Information and Service Record booklet provided with your Kia. Alternatively, contact us in branch and we can assist. Kia Care-3 customers can now also purchase their first MOT test for just £30 (3 service package only). So why not take advantage of our great value servicing and fix the price for your new Kia with Kia Care-3. Find out more about the Kia Care-3 Service Package. Most Kia dealers also offer Service Plans which allow you to spread the cost of future servicing through simple monthly payments. Sometimes during the life of a vehicle, parts may have to be replaced under a manufacturer`s service update or recall. 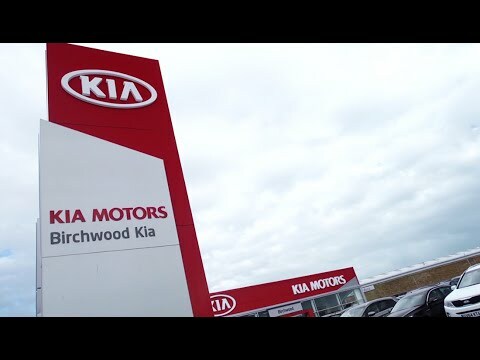 Birchwood Kia is committed to working within the Code of Practice on Safety Defects and therefore service updates and recalls are performed when necessary. A service update is necessary when a Kia part is not performing to its optimum standard but the change is not safety related. Both service updates and recalls are free of charge. If you would like to know if there is any service update or recall work outstanding on your vehicle, please contact us and we will be happy to help. Your tyres are the only point of contact between you and the road. Therefore it is most important to have safe and legal tyres. We can check your tyres and tyre pressure for free and will recommend your best course of action if action is required.